Basements are often forgotten spaces. Great Northern Builders’ team will assist in creating a functional and enjoyable space, all while adding value to your home. Our team of designers will work closely with you to ensure no detail is overlooked. We will ask plenty of questions and we encourage you to do the same. 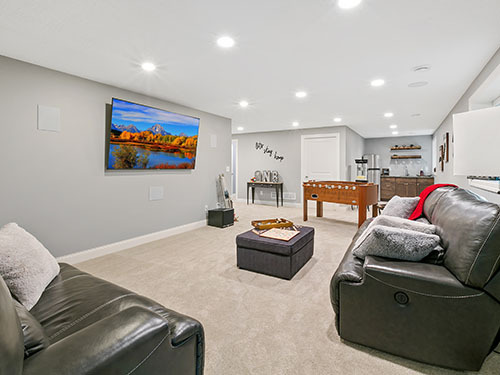 The result is a comprehensive plan of the basement remodel that meets the needs of your family.